Koshou Ryu Ju-Jitsu Self-Defense is a modern Ju-Jitsu system that is based on older forms of traditional Ju-Jitsu, complimented with techniques from other styles of martial arts. 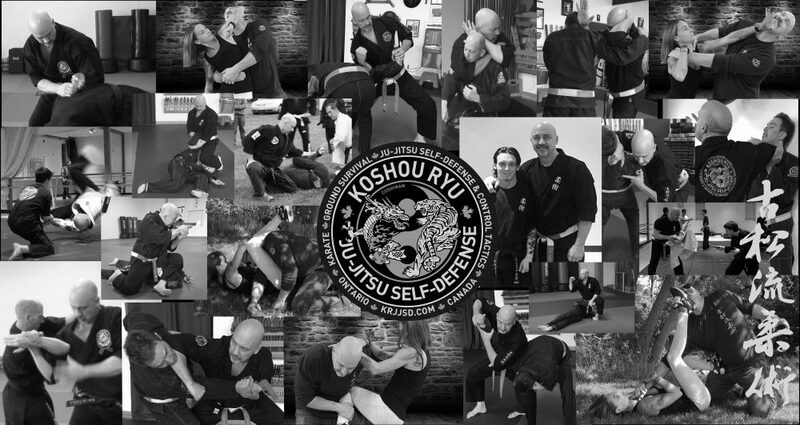 Koshou Ryu Ju-Jitsu includes all ranges of combat, from standup to ground survival. Koshou Ryu was founded in 1997 by the Chief Instructor, Shihan George Cushinan, and has been taught to 100’s of students throughout Markham over the past 21 years. Shihan George Cushinan is a 7th Dan Black Belt in Koshou Ryu Ju-Jitsu, 2nd Dan Black Belt in Seishinkan Karate (NKS), and has trained for the last 39 years in a variety of martial arts (Ju-Jitsu, Karate, Hapkido, Taekwondo, Aikido/Aikijujutsu, Combat Survival/Commando Krav Maga, Defensive Tactics). Shihan Cushinan is a member of the World Kobudo Federation, Budoshin Ju-Jitsu Yudanshakai, American Ju-Jitsu Association, Yamabushi Jujutsu Aikijujutsu Ryu, the International Federation of Jujutsuans, and the United Fighting Arts Federation. Shihan Cushinan oversees the Koshou Ryu Ju-Jitsu style, and teaches Ju-Jitsu Self-Defense seminars and programs in select locations. Shihan George Cushinan can be reached by email at georgecushinan@aol.com , or 647-454-8716. This entry was posted in Uncategorized by gjcushinan. Bookmark the permalink.